At airports without an operating control tower, a segmented circle visual indicator system, if installed, is designed to provide traffic pattern information. 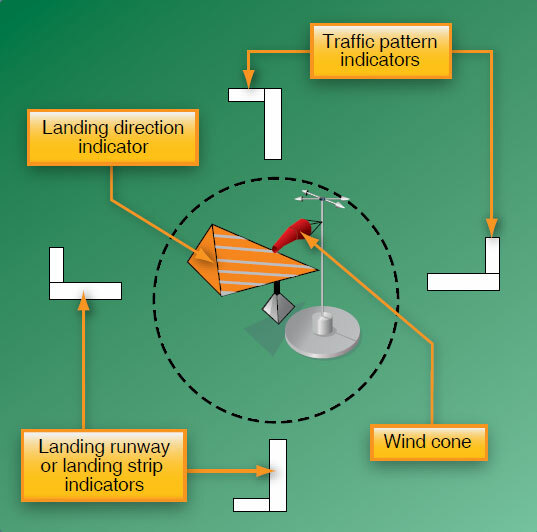 [Figure 14-38] Usually located in a position affording maximum visibility to pilots in the air and on the ground and providing a centralized location for other elements of the system, the segmented circle consists of the following components: wind direction indicators, landing direction indicators, landing strip indicators, and traffic pattern indicators. At most airports and military air bases, traffic pattern altitudes for propeller-driven aircraft generally extend from 600 feet to as high as 1,500 feet above ground level (AGL). 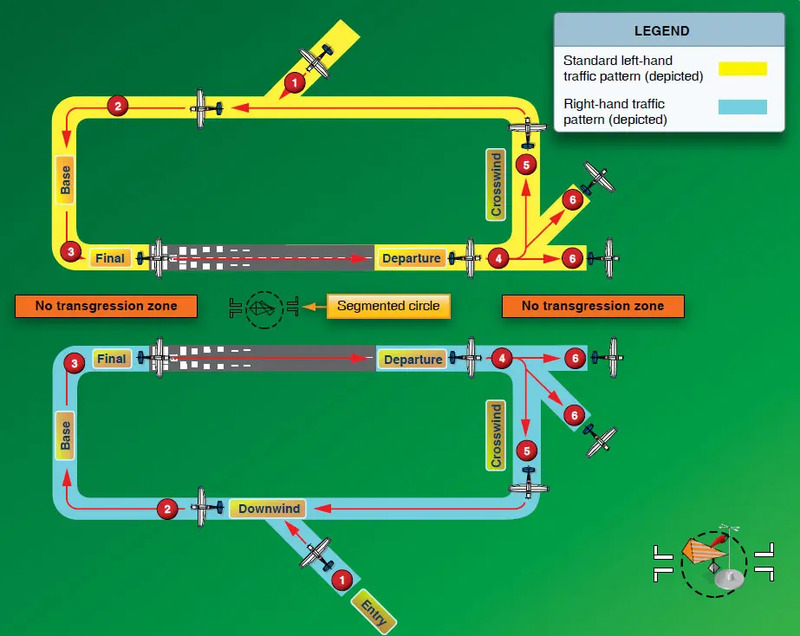 Pilots can obtain the traffic pattern altitude for an airport from the Chart Supplement U.S. (formerly Airport/Facility Directory). Also, traffic pattern altitudes for military turbojet aircraft sometimes extend up to 2,500 feet AGL. 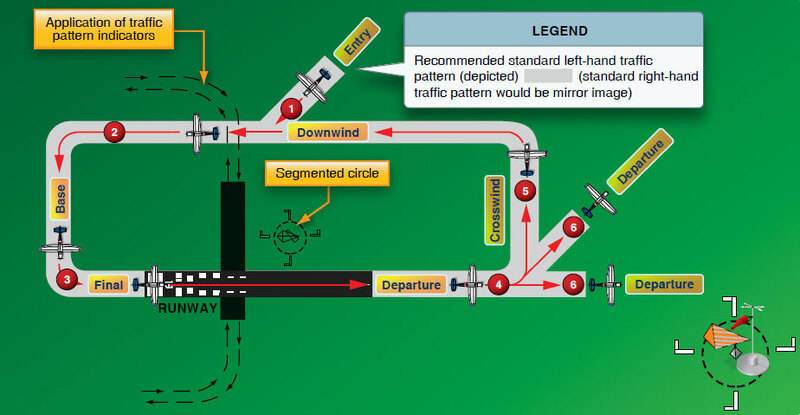 Therefore, pilots of en route aircraft should be constantly on alert for other aircraft in traffic patterns and avoid these areas whenever possible. When operating at an airport, traffic pattern altitudes should be maintained unless otherwise required by the applicable distance from cloud criteria according to Title 14 of the Code of Federal Regulations (14 CFR) part 91, section 91.155. Additional information on airport traffic pattern operations can be found in Chapter 4, “Air Traffic Control,” of the AIM. Pilots can find traffic pattern information and restrictions, such as noise abatement in the Chart Supplement U.S. (formerly Airport/Facility Directory).